That muffin scene cracks me up. I wasn’t a big fan of the movie, but I loved the book. After that, I appreciated the movie a bit more. It was a such a different role for Colin Firth. Yeah, I’m glad I read the play first :) I loved the muffin scene in both the play and the movie! 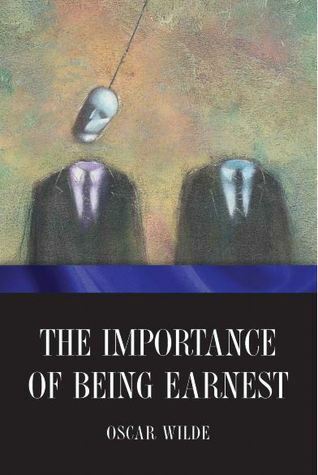 I read The Importance of Being Earnest back in high school and really enjoyed it! So glad you did too! You’ll definitely have to read more Oscar Wilde. And I’m going to have to check out the movie sometime! This is one of my favorite plays! I can never eat cucumber sandwiches without thinking of Algy. The movie version was okay, but not quite what I wanted. I love Oscar Wilde, he is definitely one of my favorite authors. I need to reread this play! Oscar Wilde is one of my favourites! I liked the film when I saw it, but I think that they have to tone down things that can be played up a lot in an actual staged version so that it doesn’t seem completely stupid on film. Actually seeing the play on stage is definitely better. I can completely understand that. I’m dying to see it performed on stage now that I’ve finally read it! You definitely should if you get the chance! I love this play – it’s so fun to watch, but I have not actually read the original which I should remedy! I really love the Firth/Everett version, I should read it and compare it to the film since I was under the impression the film was true to the original?